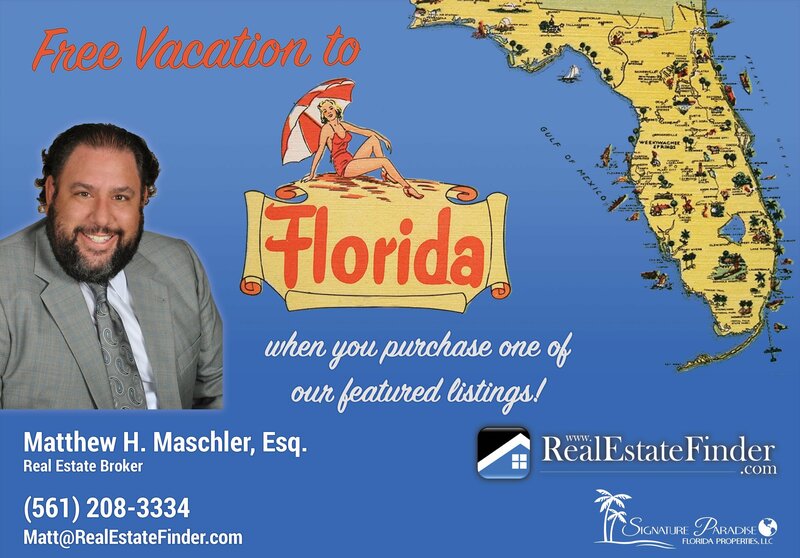 I invite you to visit Florida and if you purchase one of my listings you will be reimbursed at the closing for the cost of your travel expenses, up to $10,000! Please see the featured listings tab on my website and choose the home of your dreams. Even if you live in Florida you are still eligible. *Offer valid for up to a $10,000.00 commission credit, which will appear on a HUD-1 Settlement Statement as a credit from Signature Paradise Florida Properties, LLC to customer (Buyer). Limit one offer per closed real estate sales transaction. Eligible properties maybe found and are limited to the Featured Listings page on RealEstateFinder.com. All travel expenses incurred are eligible to reach $10,000 including gas, flight, rentals, spending money. Offer not valid for rental transactions. You must mention this offer upon initial contact. Offer expires May 1, 2017. Offer subject to change without notice – other terms and conditions may apply.